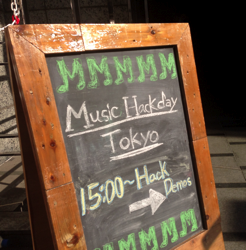 I made an iPhone app StreetMusic for Spotify’ at Music Hack Day Tokyo 2014 in February. This event is held as a part of Social Media Week Tokyo 2014. Software, hardware, mobile, web, instruments, art – anything goes as long as it’s music related. This sentence made me decide to participate. I thought I can make some works. I boarded a flight to Tokyo at New Chitose Airport in Hokkaido. 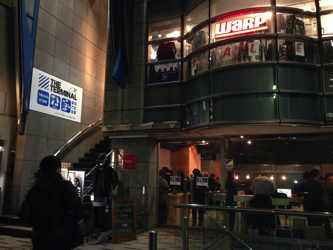 I got to Harajuku station near the event site in the evening at last. 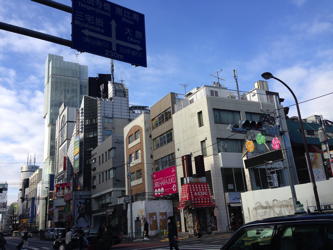 I walked through Takeshita-street near the Harajuku station. 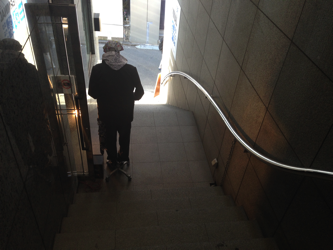 There are fun and fascinating spaces everywhere in Tokyo. 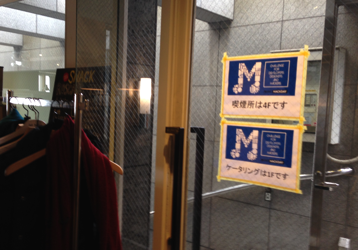 But the only purpose to come to Tokyo is to partipate in Hackathon. I went straight to the site. * I have almost no sense of direction. I always lose my way even if I use map apps. No exception for this time. I walked around the event site for about 15 minitus. 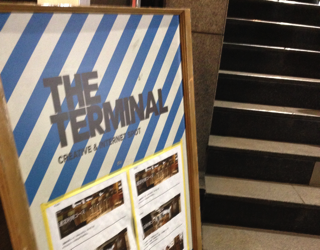 Kick off reception was held at THE TERMINAL, a creative & co-working space for everyone to work together and meet people. I’ve already had a ticket at Peatix’s app. The background color of the ticket in app change continuously as I approach to the entrance. Surprisingly, the color changes simultaneously with sponsor’s iPad’s background color. People will be allowed to enter if there is no difference in pattern of color changing between participant’s screen and sponsor’s one. This is a kind of whole new experience! This technology is called “ColorSync.” That was the first time ColorSync is used on such a big scale in Japan according to a staff of Peatix. If you’re interested in this technology, see the following site. You can know about it in detail. So the party starts in a heated atmosphere! Everyone was talking about what kind of works to be make in the hackathon each other. 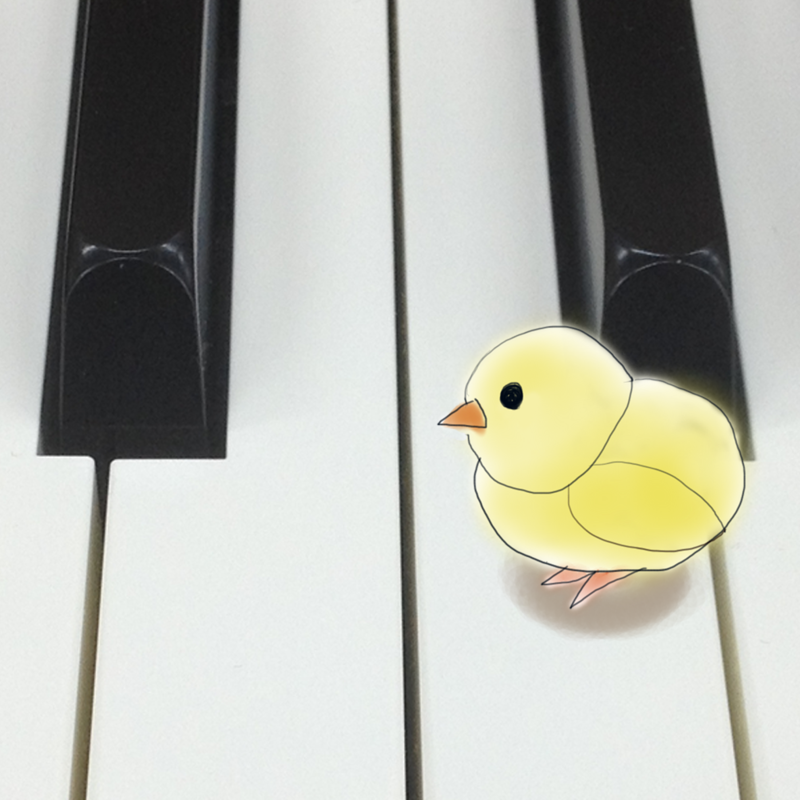 I realized that there is far more possibilities in Music-related services than I thought. 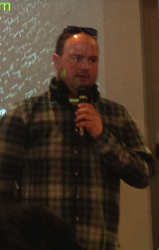 Developers who made the APIs kindly explained me about the APIs. I was so excited about it! Staffs of Spotify drew attention as Spotify was said to launch services in Japan in near future. There are several staffs from big contents-holding company of music. I put my hopes in stating Spotify in Japan within the event’s term. * Spotify services actually didn’t start. I’m looking forward to listen to Japanese artists’ music through Spotify. 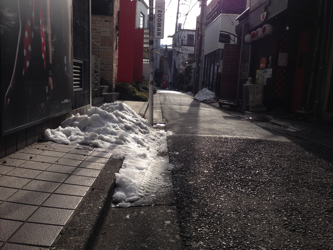 On the other hand, there are snow banks on the roads around the event space and other places in Tokyo. It was not the view as normal. 1st floor where the reception was held last night completely fixed over. Big desks are there. This was completely the space for concentrate in making music-related works! Atmosphere was getting heater as participants gather and the site is more hackathon-like space. Breakfast-foods were served at the back of the room. I ate yogurt. 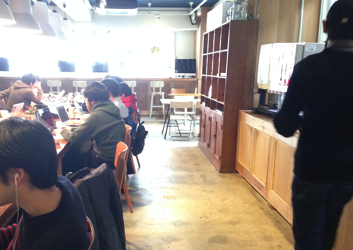 I was a great experience to eat breakfast at hackathon site. API tutorials started to be held before noon. 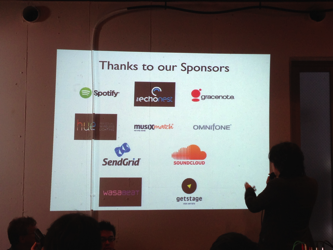 Sponsor companies are introduced at beginning. There are logos of music services and others that I know and use in my daily life. Staffs of companies giving us APIs explained about the APIs directly. The companies are such as Spotify, SoundCloud, Gracenote, Echo Nest, and so on – the companies giving music services worldwide. What a wonderful thing to be taught from the companies’ staffs directly!! There was a time for participants to make pitches for 1 minute before hackathon starts. Participants made pitches about works to be made and called for hack together. Hackaton finally started after lunch time! Some acquaintances were there. 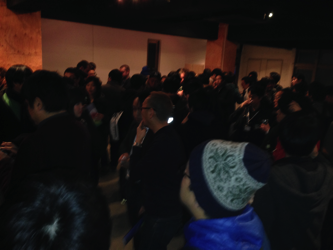 One of them is the person I met at Global Game Jam at Sapporo. 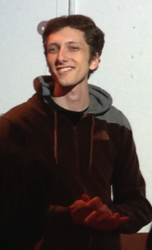 And also, there was a person the other person kindly introduced to me at Facebook. And I met with my junior in college. I met her for the first time in 10 years. That was a surprise! Also, people graduated from a campus where graduated were there (but I couldn’t meet with them). As for me, I went back to hotel because of my ill health. I’m sorry for the people for invited me to participate in groups. I decided to realize my idea for myself – An app using Spotify’s API. Spotify’s staff and participants explained me lots of things about Spotify. Thank you so much! I was working on making my app alone. And the final day has come. I was hardly reached at the point that I could play the music at Spotify in my app. The rest thing is to work hard to complete making the app. 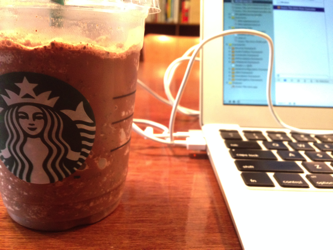 I was writing codes with Dark Mocha Chip Frappuccino I got at Starbucks on the left hand. Lots of people were hacking whole night. I felt refreshed as I saw everyone were working with full of spirit and concentration. There is a so-called “drink bar machine” – juice server machine at the right side of a picture above. Unfortunately, I realized I could drink juice without limit at the last minute of this hackathon. More contents will be coming soon at this page. Stay tuned! Next PostStreetMusic for Spotify has been released!